The Wisconsin Badger men’s hockey team (4-25-5, 2-15-3-2 Big Ten) fell to Ohio State 2-0 on Senior Night at the Kohl Center Saturday. The Badgers lost both games in the series to the Buckeyes (13-18-3, 8-11-1-1 Big Ten), Saturday night at the Kohl Center. Badger senior goaltender Joel Rumpel recorded his sixth 40-save performance of the year and 57th career game allowing two goals or less. Ohio State scored single goals in the second and third periods. The Badgers hope to extend their season Thursday at 7 p.m. inside Joe Louis Arena in Detroit. The 6th-seeded Badgers take on 3rd-seeded Michigan in a first-round Big Ten Tournament game. The winner faces second-seeded Michigan State on Friday at 7 p.m.. The entire Big Ten Conference tournament can be seen on BTN. 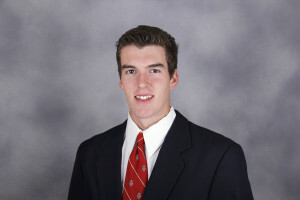 Mike Eaves Wisconsin men’s hockey team (4-23-4, 2-13-2-2 Big Ten) was plagued by seven penalties on Friday night. Michigan State capitalized on two of their six power plays and went on to beat the Badgers 3-0 at Munn Ice Arena Friday night. The shutout loss marked UW’s third in the past four games and second to MSU this season. It also sent the Badgers to their 23rd loss of the season, which is the most regular season losses in program history, dating back to 1921. Michigan State (15-14-2, 9-6-2-2) got another solid effort in goal by Jake Hildebrand, who recorded his fifth shutout of the season. 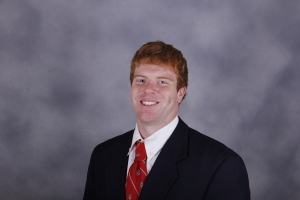 Joel Rumpel had 25 saves for the Badgers in defeat. Wisconsin plays for the series split and the season series split tonight. The two teams faceoff at 6pm on BTN. The Wisconsin Badger men’s hockey team (3-19-4, 1-9-2-2) captured its first Big Ten victory of the season, knocking off Ohio State 3-2 in the series finale at Schottenstein Center in Columbus on Saturday night. 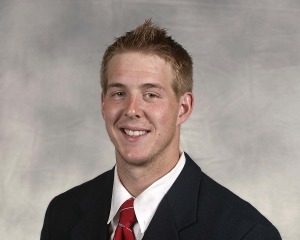 Wisconsin’s Joseph LaBate forced a third period turnover in the right corner on the forecheck and fed Adam Rockwood with a perfect pass in the slot and saw the freshman bury a wrist shot past OSU goaltender Christian Frey for the game winner (his 2nd goal in the last three games). LaBate also scored a goal, tying the game 2-2 Grant Besse scored his 10th goal of the season to get the Badgers on the board. 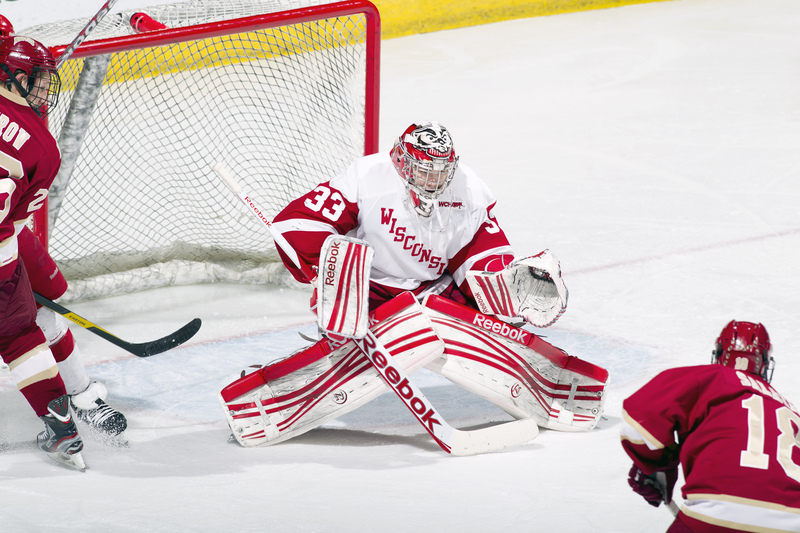 Joel Rumpel made 28 stops in-goal to earn the win for the Badgers. The Badgers are back on home ice this coming weekend against Michigan State at the Kohl Center. The Wisconsin Badger men’s hockey team remains winless in the Big Ten, falling to the Ohio State Buckeyes 2-1 at the Schottenstein Center in Columbus, Ohio on Friday night. The Badgers scored first when Corbin McGuire buried a rebound from the right side at the 15:56 mark. It was the second career goal for the freshman forward. Ohio State rallied with a pair of second period goals to take the lead, then hold on for the win. The Buckeyes outshot the Badgers 42-24. Wisconsin goaltender Joel Rumpel finished with 40 saves, marking his fifth 40-save performance of the season. The series wraps up tonight at 6 p.m.
5-2 on Saturday night at Mariucci Arena in Minneapolis. After pumping 20 shots on Badger goaltender Joel Rumpel on Friday night, the Gophers got 21 shots on net in the opening period last night, tallying three first period goals. The Badgers finally found the back of the net at the 15:27 mark of period two when Grant Besse stepped out of the right corner with the puck and initially shoved it into goaltender Adam Wilcox’s pads, but eventually got it to cross the goal line for his fifth score of the season. The Plymouth, Minnesota native tallied again in the third period on a Wisconsin 5-on-3 power play. Rumpel finished with 45 saves, two shy of his career high which was tied on Friday night. The senior stopped 92 of the 99 shots he faced during the series. Wilcox made 24 saves for the Gophers, earning his 11th victory of the season. The Badgers return home for a series with Michigan next weekend. The Wisconsin men’s hockey team got a pair of late third period goals and skated to a 2-2 tie with the 16th ranked Minnesota Gophers at Mariucci Arena in Minneapolis. The Badgers then earned the extra point in the conference standings by winning the shootout 2-1. The Gophers (10-7-2, 1-2-2-0) started the first period with a 18-0 shot advantage and Badger goaltender Joel Rumpel kept Wisconsin in the game by making 19 saves on 20 first period shots. The Badgers played better in the second period, then found a way to score twice in the third on goals by Grant Besse and Jedd Soleway. Rumpel wound up making 47 saves for the game for the Badgers. The final game of the 2-game series is set for 5pm today on Fox Sports Wisconsin. 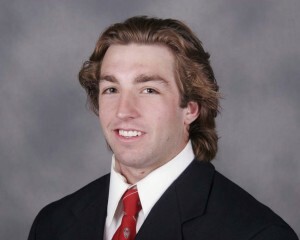 Wisconsin Badger goaltender Joel Rumpel pitched a 47-save shutout at Michigan Tech on Saturday night at the Kohl Center and today was named the Big Ten’s Third Star of the Week. It’s the 10th career shutout for Rumpel, moving hin into second place by himself on UW’s career shutout list behind Brian Elliott’s 16 total shutouts. The night before, Rumpel stopped just three of his first six shots before being pulled in a game the Badgers wound up losing 8-1. Saturday, Rumpel made 25 saves in the third period alone, on the way to a 47-save shutout that ranks No. 2 all-time at UW when ranking save totals for a shutout. The victory for Rumpel was the 51st of his career, tying him for fifth at Wisconsin with All-Americans Brian Elliott, Bernd Bruckler and Julian Baretta. The Badgers return to home ice this coming weekend against Boston University. After falling to No. 5 Michigan Tech 8-1 on Friday night, the Wisconsin Badgers rebounded to blank the Huskies 2-0 on Saturday at the Kohl Center. Joel Rumpel recorded his 10th career shutout, the second-most in UW history. Rumpel made a career high 47 saves in the win, the second-most ever by a UW goalie in a shutout, including 25 in the third period, which also rank second for the most all-time by Wisconsin in a period. 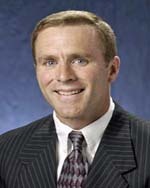 The Swift Current, Saskatchewan, native now has 51 wins, tying him for fifth in program history. Brian Elliott, Bernd Bruckler and Julian Baretta also have 51 victories in net for the Badgers. The win is just the second of the season for Wisconsin (2-11-1). Morgan Zulinick scored on the power play for the Badgers, his fourth goal in the last four games. Joseph LaBate added an empty netter with just over a minute left to seal the victory for UW. Wisconsin’s victory snaps a five-game winless streak against Michigan Tech (0-3-2). Next up for the Badgers, a pair of home games against Boston University this Friday and Saturday at the Kohl Center. Faceoff both nights is 7 p.m. 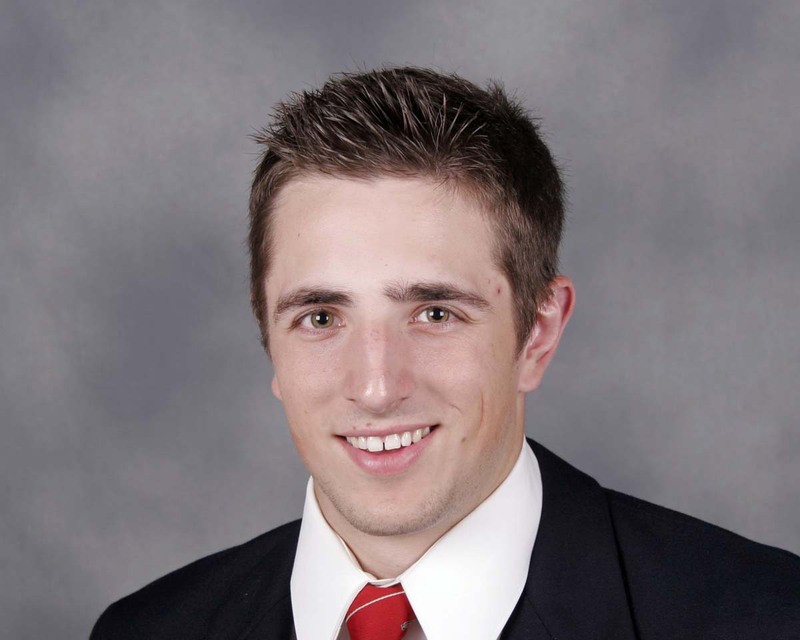 The Wisconsin men’s hockey team (1-8-1, 0-0-0 Big Ten) earned its first win of the season Saturday night, as the Badgers defeated Ferris State (7-7-1, 4-4-0 WCHA), 5-3 at the Kohl Center on Saturday night. The win marked Badgers goaltender Joel Rumpel’s 50th career victory, tying him with Mike Dibble for eighth all-time in program history. Rumpel made 30 saves in goal. 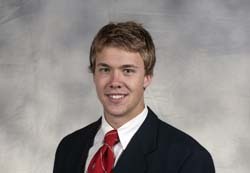 Wisconsin freshman Jack Dougherty scored the game winner in the third period, his first goal as a Badger. Dougherty’s tally came on the power play and it gave the Badgers a score with the man advantage for the third straight game. The Wisconsin Badger men’s hockey team put up a good battle but fell to 2nd-ranked North Dakota 4-3 in their home opener at the Kohl Center last night. With three weeks of practice since their last game, the Badgers grabbed their first lead of the season with a Chase Drake (Mosinee, WI) power-play tally 3:36 into the second period. The Badgers also got a Jedd Soleway goal and despite trailing in shots (29-17), took a 2-1 lead into the third period. UND would score the first three goals of the third period to take a 4-2 lead. But the Badgers made it interesting as Drake scored his second goal of the game in the final minute. Wisconsin then pressured the net in the final 18.1 seconds but North Dakota held on to earn its sixth win of the season. Joel Rumpel made 39 saves but took the loss in goal. He and the Badgers fell to 0 and 5 to start the season, their worst five game start since the 1932-33 season. The two teams wrap up the 2-game series at the Kohl Center (7pm) tonight.